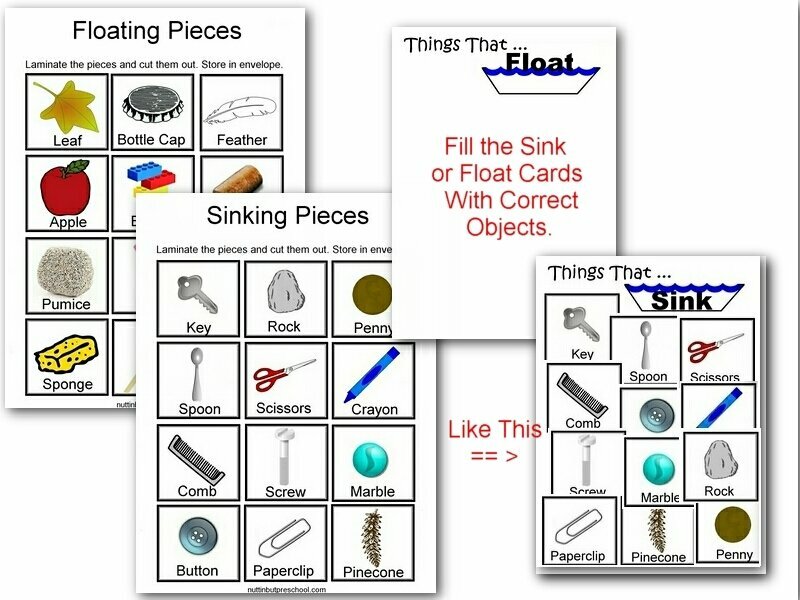 Playing in the water is fun for any child, who says you can’t learn anything through play With this things that float and things that don’t – sink or float science center, learning is fun. Additional terms that can be introduced are buoyancy, upthrust, weight, and displacement. Use terminology according to age – but children love to learn new words. For this science center, you will need to collect a few things around your home and school. 1.) Print the cards and sheets in my PDF file. 3.) Cut the cards apart and store them in an envelope. 4.) Set out a tub with water and all real-world items. 5.) 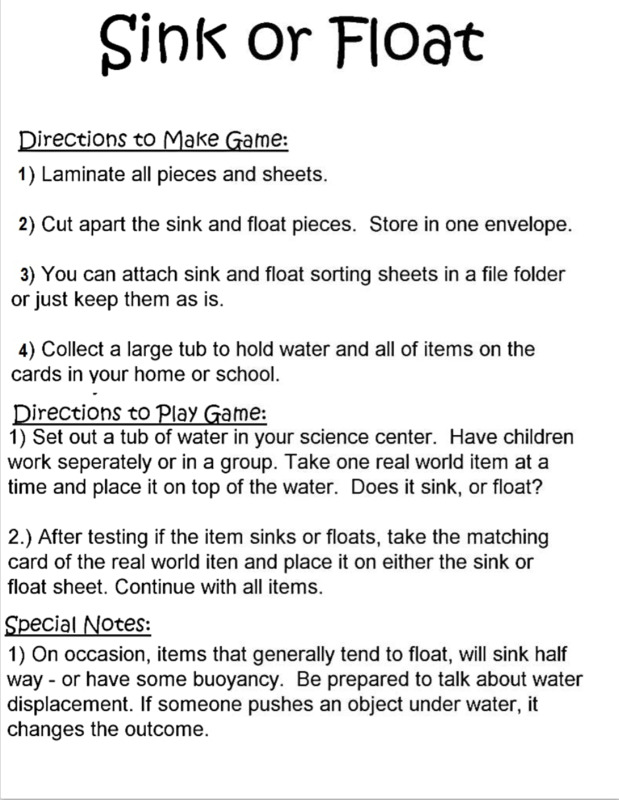 Have the children take one real-world item at a time and slowly place it on top of the water. Does it float or sink? 6.) Take the card of your real-world item and place it on the correct sheet. Either on your sink or float sheet. 7.) When the children are finished with all the real world items, there will be 12 cards on each of the sheets. This is one of my favorite self-directed science centers for children. 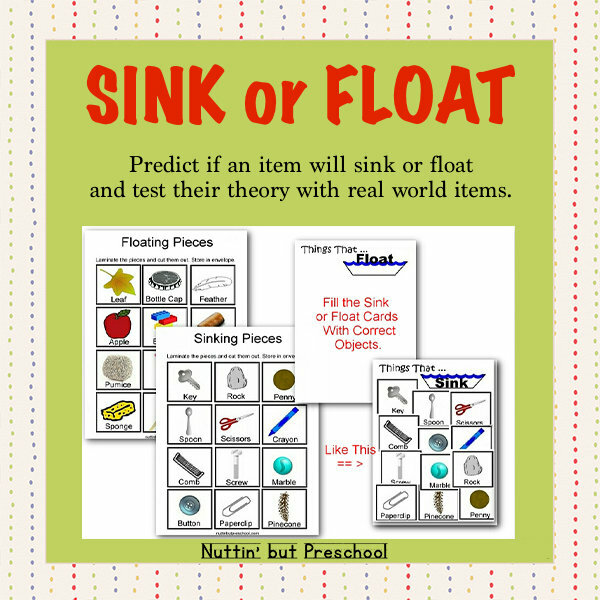 It gives them a chance to predict if an item will sink or float and then they can immediately test their theory. It leads to questions and additional science related fun.